Dual-layer, ultra rugged cases made to survive the bumps, drops and scrapes you encounter on your adventures. 1.The case was combined with two parts, the inner TPU case and a Hard Polycarbonate outside cover. 2.The hybrid combo design gives your phone case more protective and look more delicacy. 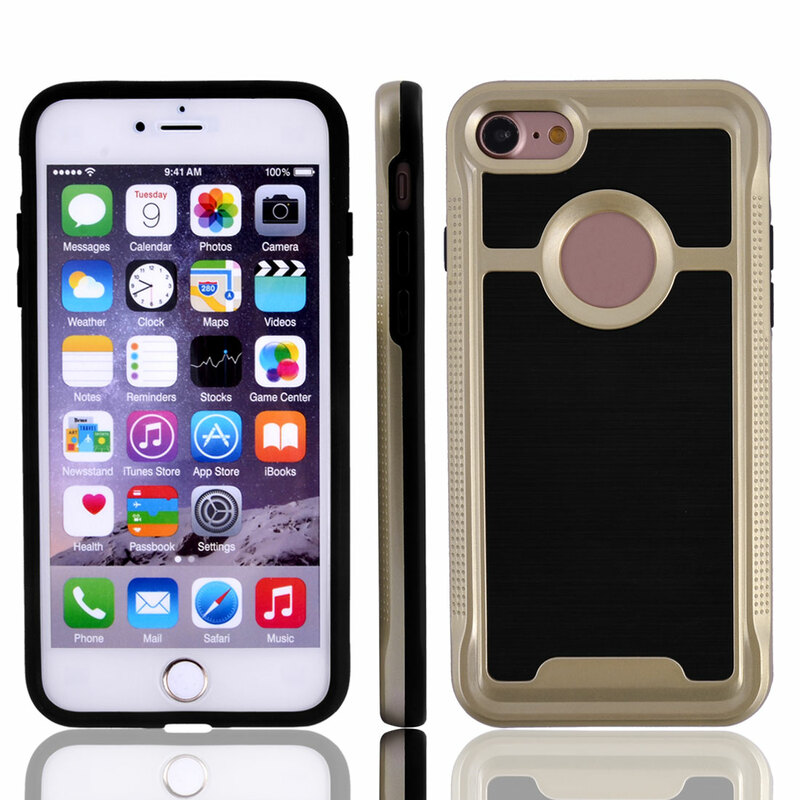 3.Easy/off installation and hard cover case gives your Phone a safe protection. 4.All ports / buttons are accessible with case on, perfect fit. 5.Protects your Phone from scratches, bumps and dirts. Avialable Color: Red,Fuchsia,Dark Gray,White,Cyan,Gold Tone,Silver Tone,Champagne Color.